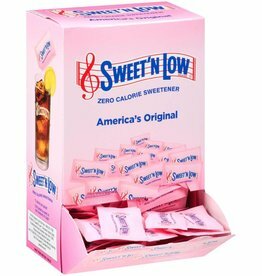 Sweet' N Low, 0 Calorie Sweetener Packets. 400 ct. Box, It's the #1 pink zero calorie sweetener, and it's the first choice in food service because customers expect it. It's one of America's favorite brands for almost 50 years. 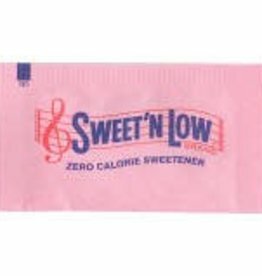 Sweet' N Low, 0 Calorie Sweetener Pkts. 2000ct. Case. Show your commitment to quality with America’s #1 brand of saccharin-based sweetener offering great taste and zero calories.